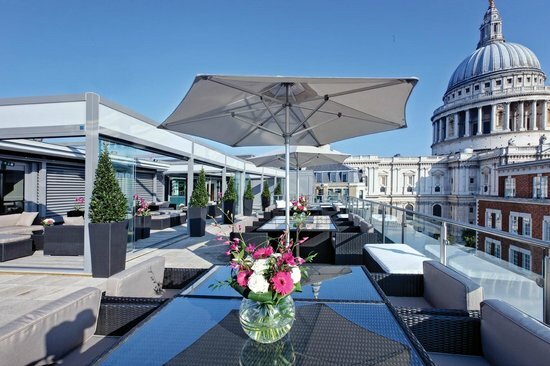 There are few places better to spend a summer party with your friends and colleagues than high above the city streets on a stylish roof terrace with the sun beating down on you. If you are searching for Summer party venue ideas and would like to see what rooftop summer party venues are available then we have an amazing selection of summer party ideas for you here. Below you will find a carefully chosen selection of our favourite London summer party roof terrace venues that are available to hire for corporate events and private summer functions. When planning a summer party in London it is important to remember that the weather can be unpredictable. This is why the rooftop summer party venues featured on our website will typically have indoor space as well as the outdoors space that can be used in conjunction with the roof terrace area, or give your guests somewhere to pull back to should the rain start to fall during your summer event. When planning your summer party, we recommend getting in touch with a team of event planning experts to ensure that your summer party goes off without a hitch and our team at live events London are on hand to help you choose the perfect summer party venue for your event and ensure that it is suitable for your group. You will find an amazing selection of summer rooftops and summer party roof terraces, as well as several funky pop up summer venues across the City. If you need any further support planning your summer party or are just looking for more summer rooftop and roof terrace venue ideas then just use one of the contact forms on our website to tell our team about your event this year. We will be in touch with a tailored selection of summer party venues and ideas to make your summer event this year and unforgettable experience for your guests.